These are a few of my favorite things because you totally care. I’ve actually been told that people care about what I think about the stuff that I use. Likely because I have a multitude of children so I don’t have time to mess around with products that don’t do what they say they’re going to do for me. Everyone likes stuff/products that work! How annoying is it to purchase something that you’re excited about only to discover that you don’t like it? … and how many of us are diligent enough to go through the trouble of returning said items? … well, probably a lot of you, but not me … so things I buy that I don’t like just end up sadly taking up space in my house. What a waste. SO! 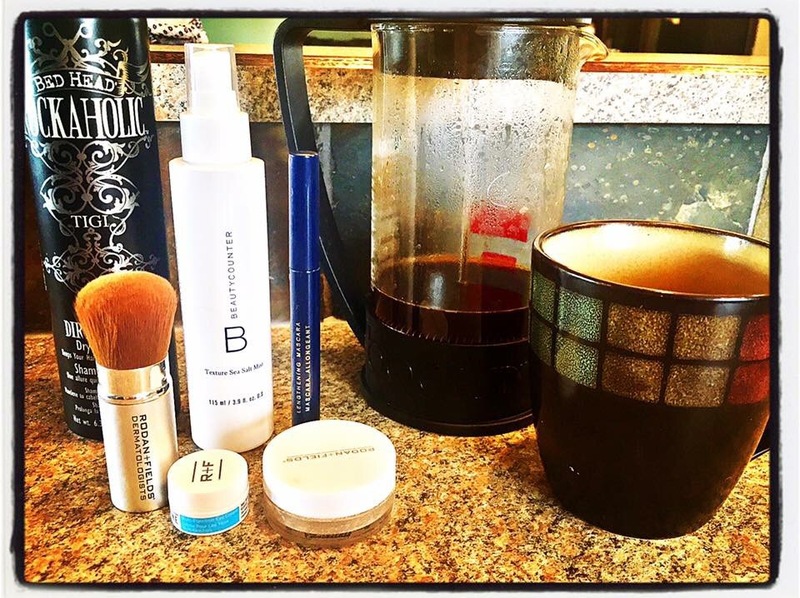 Following are five products that I used yesterday, realized I couldn’t live without, and decided that I should tell all of you (ha ha!) about them. Ready? Sweet! Baby E’s Multi-Purpose Nursing Cover. Covering to nurse, carting my nursing cover around taking up space in my diaper bag and honestly just trying to remember the darn thing were all kind of a pain (ya, first world problems, I know) until recently! When I had baby Logan in February my friend Eva laboured in the room next to me … and just a few short weeks after our big baby boys arrived, because she’s amazing, she sent me a message that said (basically): “I have an idea … want to be my product tester?” Of course I said yes and have been totally obsessed with these beauties ever since! They can be used as a car seat cover, so I don’t forget it and (more importantly) so Logan is safe from the sun, rain and other Alberta elements. It can be worn as a poncho or scarf (personally I use the scarf option but its a very cute poncho) and is, obviously an amazing nursing cover. It’s also a handy way to swaddle that babe up, lay them down on something soft or even use as a cart cover at the store when he’s old enough for such craziness. Eva also makes matching top knot toques for all of the cute little babies. These cover/toque combos make a lovely baby gift and it seems like she’s getting more fun fabric all the time. Check these out on Instagram here @babyescover and shoot her a message to order one! Here’s a cutie pic of Logan enjoying his hat! Not too long ago my friend Doreen (who is a wonderful MYC music teacher!) started selling Thirty One Gifts … I went from having no single clue what that meant to being completely in love. I “hosted” an Online Party for Doreen and got a good bunch of free/discounted stuff, am using it all, and I’ve now ordered more … some for gifts and some for me! 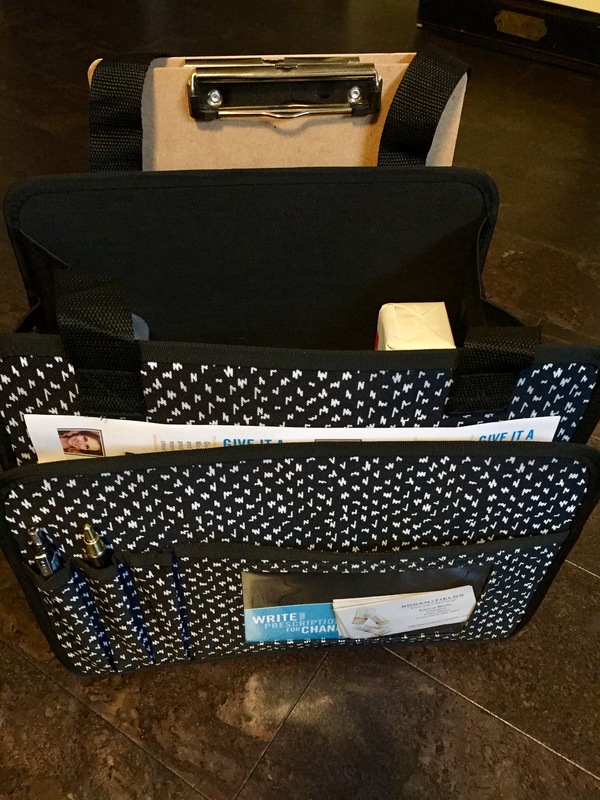 It has completely changed my organization (or lack there of, whatever, don’t judge me) … ever since I got my totes for the vehicle it’s been a dream! Thirty One is reasonably priced and such good quality! Second, I use and sell Rodan + Fields products because they are AMAZING! My friend Amy calls the Mineral Peptides “Busy Mom Powder” because you can just swoosh it on your face so quick and your skin looks so much more even. It even feels smoother and softer because of all the peptide magic that’s crammed in there, it’s also got SPF in it to protect from the beautiful warm sun (the sun is warm right? I can’t remember.) If you grab a couple of shades you can even get fancy with contouring, which I have no clue how to do. (Let me know if you want more info. on this goody, I can hook you up!) Since I’m a tired Mommy and you might be too, I need to also mention the Multi-function Eye Cream . My friend Marie used it for a week and said that she no longer needed to use concealer .. what a time saver! (That was more than two products, my apologies). Carol is a sweet lady that I go to church with, she crochets some really cutie and beautiful things! When Logan was born she gave us a really cute crocheted blue owl for him to snuggle into. 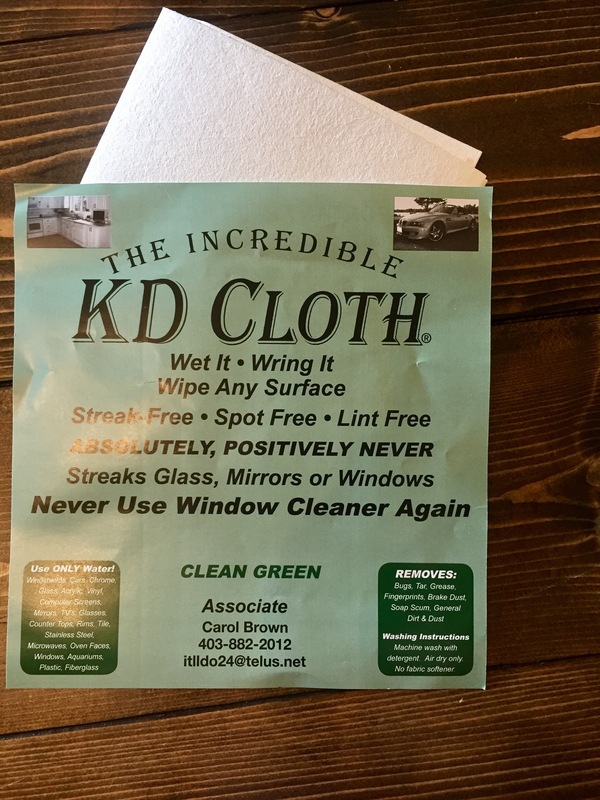 Carol also sells something called a KD Cloth that is absolute MAGIC! I’m not kidding … it cleans windows, mirrors, sinks, counter tops, tile, tv screens! I have cleaned my entire house with these beauties and it’s left literally sparkling. When the cloth gets dirty just toss it in your washing machine (no fabric softener) and it’s good to go again! It’s seriously that wonderful! As I’ve mentioned before (about a thousand times) I’m forgetful and disorganized … so running out of diapers, wipes, shampoo for the kids or soap, really anything, has totally happened. Earlier this year I decided to try out honest.com to see if it was something that would work for our family … and ohmygoodness! This stuff you guys! It’s well priced, good quality and it is delivered! Do I need to remember to grab diapers at the store? NOPE! Got ’em! Am I outta wipes? Not even a little bit! What are some of your favourite products for Mom-life? (Or even real life?) I’d love to hear what they are! I am very excited about those nursing covers. They’re amazing! You’ll love it!